Sparkling with a vodka twist. 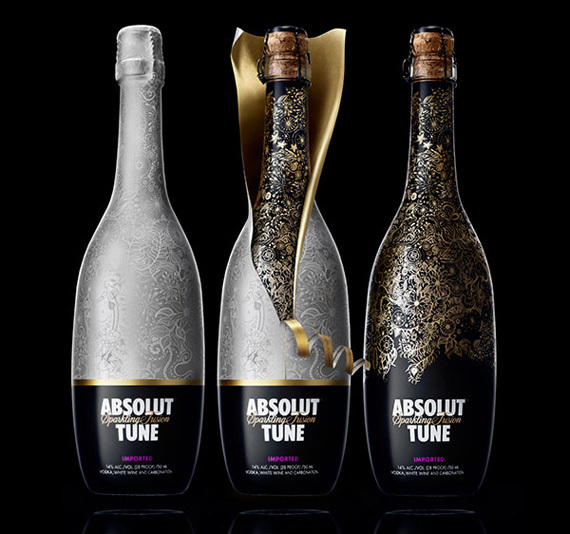 Absolut Tune is a sparkling new drink experience, adding premium Absolut vodka to crisp and sparkling Sauvignon Blanc wine. It is a unique collision of Sparkle and Spirit, inspiring the exclusive music video for Icona Popâ€™s new single, All Night. Absolut is made from premium Absolut vodka and Sauvignon Blanc from New Zealand. The Absolut vodka for Tune is produced in Ã…hus in Southern Sweden using Absolut proprietary continuous distillation process and one source ingredients. Sauvignon Blanc from New Zealand (Brancott Estate) was chosen for its unique fresh and floral character and its ability to complement the premium taste of Absolut vodka. Carbonation is infused to both vodka and wine through a unique proprietary process developed by Absolut. What does Absolut Tune taste like? Absolut Tune is a unique taste experience. First you taste a rich, fresh, fruity and floral sparkling wine â€“ Sauvignon Blanc. The taste experience then ends with a clean and premium Absolut vodka finish. Simply enjoy Absolut Tune chilled in a flute or try one of our simply made sparkling Tune cocktails. To celebrate the US product release, Absolut Tune partnered with Icona Pop, Sweden’s latest musical export. The first highlight of this collaboration is Icona Pop’s “All night” music video. It features dueling dancers uniting in a â€œHouse Ballroomâ€ experience as they unleash their spirit and flaunt their sparkle on the dance floor — much like how the flavors of crisp Sauvignon Blanc and premium vodka unite in Absolut Tune. Enjoy the duoâ€™s â€œAll Nightâ€ video.